Official Sponsor of Pratt on Texas on AM790 KFYO in Lubbock and across the network. 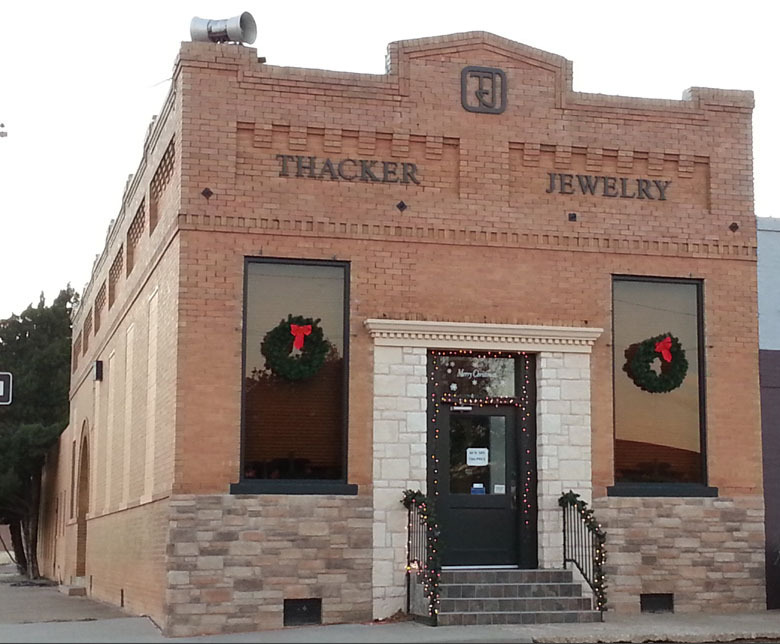 Thacker Jewelry makes custom jewelry for people all over America from their little factory in Roaring Springs, Texas. Do you have heirloom jewelry you’d like to combine into a new piece? Thacker creat it. Have you seen a photo of jewelry you love? Thacker can recreate it just for you. You’ll find the factory-store in downtown Roaring Springs in Motley County, Texas. The Thacker Jewelry factory (and showroom) in the old bank in Roaring Springs, Texas.